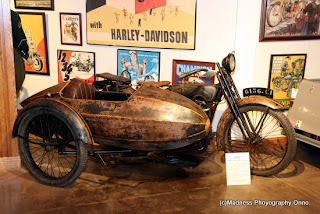 - The National Motorcycle Museum hosts the 9th Annual East Central Iowa Sidecar Association Rally. Sidecar rigs of every era and many designs will be on hand from 10:00 am to 4:00 pm on the Museum grounds. And you don't need to own a sidecar rig to attend. 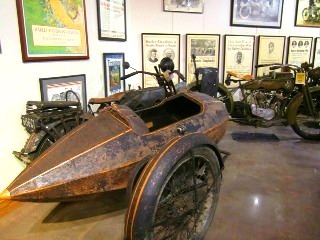 Check out the Museum and enjoy the three wheel technology that's on hand that day. Sidecars may be one of motorcycling's best inventions. They extend a motorcycle's people carrying capacity, allow a bike to carry packages for delivery, safely carry pets and can even make a motorcycle into a family vehicle. 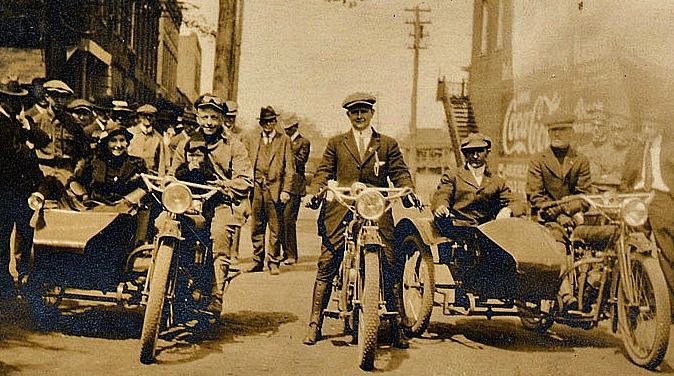 Stop by the National Motorcycle Museum Saturday, September 8 and check out the wide variety of sidecars ridden in for this one-day event, the 9th Annual East Central Iowa Sidecar Rally. Your National Motorcycle Museum admission will let you see the field of sidecar entrants plus take in the Museum with over 420 motorcycles, bicycles, toys and thousands of pieces of artwork. The 10:00 am to 4:00 pm family event includes vendors, a modern and antique class bike show, and raffle prizes. For just $5.00 you can join the evening banquet. Phone 319 846 2619 for more information and banquet pre-registration. Jeff Carstensen offers, "Sidecar operators are a special breed. With the exception of a few high tech designs, sidecar rigs do not lean; they are steered around corners, and of course you don't need to remember to put down the sidestand any more. Geometry of the setup is critical. Sidecars remain uncommon so events like this Rally bring enthusiasts together, let them discuss their rigs, swap stories and learn what's new. It's a rolling classroom of sorts and we're always happy to host the event at the National Motorcycle Museum."